October 10, 2013 by Ken Ward Jr.
Patriot Coal Corp. announced it has secured a financial sponsor and reached key settlements to pave the way for its emergence from Chapter 11 bankruptcy reorganization by the end of the year. In a news release issued just before midnight on Oct. 9, Patriot said it had reached an agreement with Knighthead Management LLC to financially sponsor its exit from bankruptcy. Patriot also settled with both Peabody Energy Corp. and Arch Coal Inc. in exchange for an infusion of $250 million in new capital. 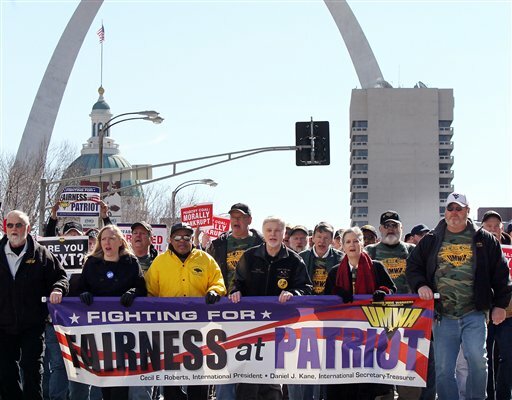 The United Mine Workers of America (UMWA) has reached a global settlement with Peabody Energy and Patriot Coal that will provide funding of more than $400 million to cover future health care benefits for retirees affected by the bankruptcy of Patriot Coal. Those benefits will be paid by the Patriot Retirees Voluntary Employee Benefit Association (VEBA). Peabody will make payments totalling $310 million over the next four years, the proceeds of which will be applied to future retiree health care benefits. Payments of $90 million will be made in 2014, followed by payments of $75 million each year at the beginning of 2015 and 2016, with a final payment of $70 million at the beginning of 2017. I am very pleased that we have been able to reach this agreement with Peabody and Patriot. This is a significant amount of money that will help maintain health care for thousands of retirees who earned those benefits though years of labor in America’s coal mines. This settlement will also help Patriot emerge from bankruptcy and continue to provide jobs for our members and thousands of others in West Virginia and Kentucky. The Company reached an agreement with Knighthead Capital Management, LLC (Knighthead) to financially sponsor Patriot’s emergence from bankruptcy. In addition, after months of litigation and negotiation with Peabody Energy Corporation (Peabody) and Arch Coal, Inc. (Arch), Patriot has entered into settlements with both companies. These agreements will provide the Company with a significant liquidity infusion and position it to obtain the exit financing necessary to emerge from Chapter 11 as a strong, well-capitalized business. Additionally, the agreements will result in funding for the United Mine Workers of America (UMWA)-sponsored Voluntary Employee Beneficiary Association (VEBA) trust of more than $400 million to provide healthcare coverage for UMWA retirees. Reaching these agreements represents a pivotal juncture in Patriot’s restructuring. With Knighthead’s financial backing and the funding provided by Peabody and Arch, Patriot is now well-positioned to secure exit financing. This sets a clear path forward for Patriot to emerge from Chapter 11 by year-end as a strong competitor in the coal industry. Peabody has continued to fund healthcare benefits for retirees during Patriot’s bankruptcy proceedings. We are pleased to resolve the uncertainty among Patriot retirees by providing substantial funding for the newly established Voluntary Employee Beneficiary Association (VEBA). Future healthcare benefits for Patriot retirees will now be determined by managers of the new VEBA. Arch also announced today that it has resolved all pending and potential legal claims with Patriot stemming from Arch’s sale of coal companies to Magnum Coal Company, a subsidiary of ArcLight Capital Partners LLC, in 2005 and the subsequent purchase of those companies by Patriot in 2008. In consideration for this release, Arch will pay $5 million in cash to Patriot upon its exit from bankruptcy. Additionally, the settlement includes the release of a $16 million letter of credit posted by Patriot in Arch’s favor for surety bonds related to the companies sold to Magnum. Under the terms of the agreement, Patriot is required to replace the bonds in their own name or repost an $8 million letter of credit in Arch’s favor by Dec. 31, 2015. “This comprehensive settlement with Patriot relieves Arch of costly legal expenses, resolves the distraction of litigation claims, and allows Arch’s management team to remain focused on steering the business through current market conditions and preparing for a recovery,” continued Eaves. Following the settlement with Patriot, Arch remains in active discussions on a potential resolution with the United Mine Workers of America (“UMWA”) on outstanding litigation claims. 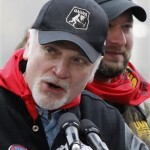 The U.S. District Court recently dismissed the ERISA claim the UMWA had filed against Arch. 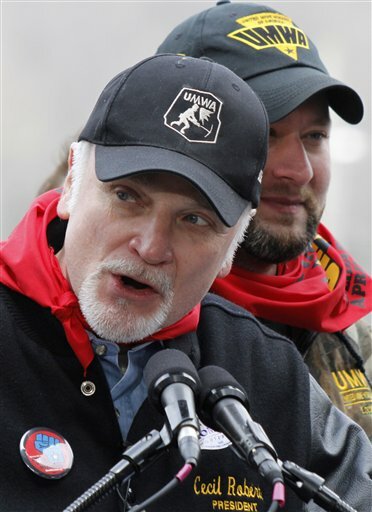 “In the wake of the U.S. District Court decision in favor of Arch, we have put forth a good faith offer to the UMWA for a settlement that would resolve all pending and potential legal claims brought by the UMWA, and we are in discussions with them on a potential resolution,” said Robert G. Jones, Arch Coal’s senior vice president – law, general counsel and secretary. HR 2918, introduced in the House by Rep. David McKinley (R-W.Va.), currently has 24 co-sponsors from both parties. SB 468 was introduced in the Senate by Sen. Jay Rockefeller (D-W. Va.) and currently has six co-sponsors.